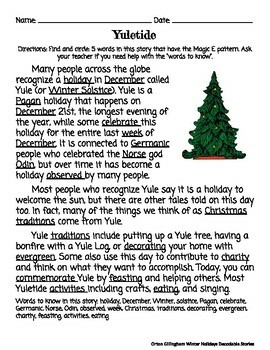 Check out our OG winter decodable story, games, and activities that cover silent E/ Magic E/ vCe. These can be used as a supplement to our Silent E Unit, or to complement any phonics program. To see my other OG Holiday resources, click here. Please see my other lessons if you are interested in working with students who have dyslexia or may benefit from an Orton-Gillingham style of teaching. To download our free Unit 1 sample lesson (M/N nasal sounds), click here. 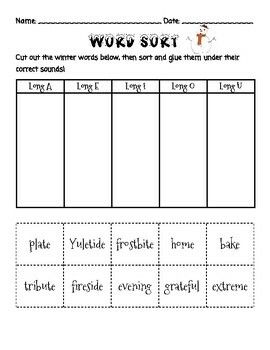 To download our free Unit 5 sample lesson (ea, ee Vowel Teams), click here. To determine if this unit is a good starting point for your student(s), check out our free assessment. Lessons are sequenced according to linguistic principles identified by Lindamood Bell and other linguistic experts. Unit 2: Blends and Glued Sounds purchase here. Unit 3: Closed Syllabication purchase here. Unit 4: Magic E purchase here. Unit 5: Vowel Teams purchase here. Unit 6: Open Syllabication purchase here. Unit 7: R-Influenced Vowels and Soft C/G purchase here. 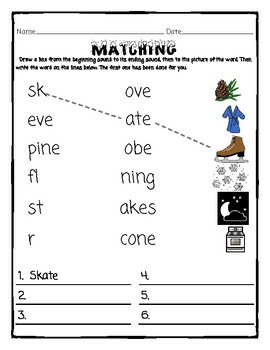 Unit 8: Diphthongs and Advanced Vowel Patterns purchase here. Unit 9: Types of Syllables Review purchase here. Unit 10: Alternate Spellings (Advanced) purchase here. Or to download The Complete Bundle which includes ALL of our units, purchase here. 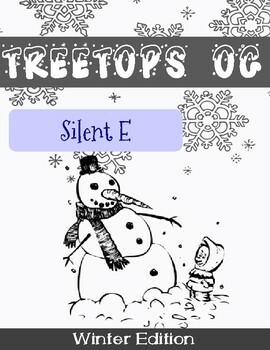 OG: Winter Activities by Treetops Educational Interventions is licensed under a Creative Commons Attribution-NonCommercial-NoDerivatives 4.0 International License.